JJ Marsh talks to editor Susanne Weigand and independent author, blogger and journalist Matthias Matting. Susanne Weigand is the English editor of reader website xtme. Germany has always been very proud of having a lot of independent bookshops with very well read and supportive booksellers. Those have come for years under a lot of pressure by big book chains and Amazon. Ironically the big book chains are now getting rid of lot of their megastores; there might be a small chance for the independents there. In 2013 three of the big players in the book market, Thalia, Weltbild (with Hugendubel) and Bertelsmann Buchclub and Deutsche Telekom launched the Tolino, an e-reader to help them chasing some market share from Amazon in the e-book market. They did quite well but last month Weltbild filed for bankruptcy (for various reasons, the two big stores mentioned above are part of the story)—so 2014 will be the year when either Amazon will win the e-book market with some smaller players surviving or the other partners of the Tolino-Alliance will grow … Who knows? Tell us your story. How did you come to work for xtme:englishbooks? Xtme is a network of e-book-promotion sites, founded and kept by Johannes Zum Winkel. The main site is www.xtme.de. When I discovered this I was hooked and asked Johannes to have some English books as well. He did that and I didn’t really like his suggestions, so for some month I sent him nearly daily the books I had chosen and within the main site English books became established. We met, Johannes told me he would like to open http://www.englishbooks.xtme.de/ and make me an editor. Why is it that so many people like to read in English? Another factor is pricing: the English (or American) version of a book is often so much cheaper that the difference can’t be explained by the costs of translation. And especially with the often long fantasy series we are talking real money here! I love children’s books, especially the British classics. I love modern Americans. And I would murder for a mystery. What does the future hold for xtme? Xtme will always provide fine free or bargain e-books for readers. But what is more and more important is talking to authors, helping them with their books and their marketing. I am also helping German authors who have their books translated into English with the marketing in the so much bigger English speaking-world. 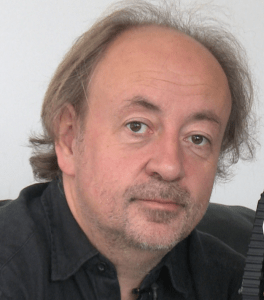 Matthias Matting is a journalist and author of more than 30 books in six languages. He runs selfpublisherbibel.de, the top site for self-publishing in Germany. 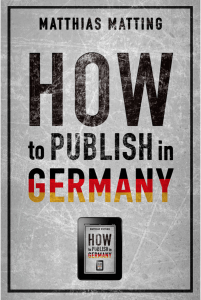 An English-language edition of his ebook How to Publish in Germany is available now. Tell us your story. How did you get involved with the world of self publishing? I just tried. That’s also the main point of my recommendations to fellow authors. Just try it, you have nothing to lose. Of course, you should start with something you’re good at and isn’t such a big investment in time and resources. I used to work as a hardware tester for a news magazine, I already knew all the ereading devices so I decided to write a manual for the Kindle which quickly became a bestseller on Amazon. After that, many more books followed—I’m writing about technology, physics, the universe … When I was in Shanghai, I felt it was the perfect setting for a fantasy novel so I tried that too. You’re very generous in sharing advice via Die Self-Publisher Bibel (www.selfpublisherbibel.de) and How to Publish in Germany. Is there a supportive community of indie authors? Yes, there is. I can happily say that it centers a bit around the selfpublisherbibel.de which I started just in early 2013 and which grew to 2000 daily visitors at the end of the year. But there are also indie author groups on Facebook (one I frequently use has 2000 members), there are author groups like qindie or ewriters on the web and there are events like the “Pub’n Pub” events taking place in a few cities or the “ebookcamps” in Hamburg and Munich. I have the impression the German-speaking publishing world is less focused on one city, unlike London, Paris and New York. There seem to be various hubs of activity, such as Frankfurt, Munich, Berlin and Zürich. Is that how you see it? I can actually see that from the visitor’s data of my blog. Maybe it’s simply because the distances are much shorter? I have already attended Self Publisher meetings in Berlin while I’m living in Münich. All in all, I see most activity in Berlin, Hamburg, Frankfurt and Münich which happen to be important for the ‘old’ publishing world too. Also, the two book fairs in Leipzig and Frankfurt have recognized the potential of Self Publishing and are sucessfully inviting independent authors with own discussion threads and events. Germany’s ‘Preisbindung’ (fixed prices) makes the bookselling field rather more equal than in the UK and US. Do you think it’s a good thing? Well, it makes the daily life of a publisher (and a self publisher too) more difficult because you have to synchronise all your price reductions for all stores—it wouldn’t be legal to sell a book cheaper at one store than at the other. But all these stores are working with different speed and efficiency so you always have to fight with different prices. Thats the reason some authors prefer to stay with Amazon only—with the additional bonus of being able to use KDP Select. On the other hand, I think it’s not a good idea to ignore 40 percent of the market forever. And even small bookstores are able to survive here because the large companies cannot outsell them with cheap prices. This keeps the market more diverse. I’m so impressed by the wealth of knowledge and constant updating of information on Die Self-Publisher Bibel. How do you keep up to date with everything? Thank you very much—I simply have to follow all the news sources. Twitter helps me a lot. I use my personal account for research only, I don’t use it to spread the word about my books and I rarely follow others who are using Twitter primarily for advertisement. But I have a second account for all the other interesting uses Twitter can have. Can you see a future for self-published print books? Absolutely. In Germany, Createspace is very successful. It is currently the only way for an independent author to sell printed books at prices comparable to those from large publishers. You won’t get your book into a ‘real’ bookstore. But as book selling is more and more becoming an online business, it won’t matter that your book cannot be bought from a physical shelf. Also, beauty and looks of printed books will become more important. People will buy printed books as a physical memory. This is easy: write and publish. But at the same time, I’m trying to develop actual services for authors. Our Amazon-Top-1000 (http://selfpublisherbibel.de/amazon-top-1000/) is already pretty interesting and offering more features than similar services in the US. There’s even a prognosis module that can tell you your future sales … This is based on the analysis of around 100,000 sets of ebook data. Also, I use the data for my new website ebook-rabatte.de that authors can use to advertise price reductions.